Because OSHA can't inspect all 7 million workplaces it covers each year, the Agency seeks to prioritize its inspection resources. 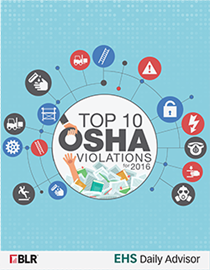 Use these charts of the top 10 violations for both general industry and construction to see where OSHA is focusing their efforts. Is your company at risk?